Increasing your engagement on Instagram can pay dividends when it comes to making the most of your business and here are some tips on how to do so. Whenever Instagram users are scrolling through their feeds, most of the time they aren't analyzing every post and reading through each long caption. However, if your images really do catch people's eyes while they are scrolling through their feed, then it is much more likely that they will stop to take a look and interact with them. You should use various design elements to catch people's attention such as large text, high contrast, and bright colors. It is also very important to develop a consistent style across your Instagram posts and always use it. This means using similar text, color schemes and other design elements that you normally use. This doesn't mean all of your posts have to look exactly alike, but many of the posts you create should have some common elements connecting them together. If your posts are always featuring different styles, your follows won't know what to expect from your posts. They may not even realize they are your posts when they are scrolling through all of the posts in their feed. It is important to engage with other users if you would like to build up your engagement on Instagram. This includes following people in your target audience and others who are part of your industry, and commenting and liking their posts, and interacting with their content in various ways. When you do these things, it can help you build strong relationships with other Instagram users and also increase the chances of them engaging with your content. If there is some particular action that you would like your followers to take after they see your posts, then you need to simply tell them to do so. For example, when you sharing information about one of your new products, a link can be included to a relevant landing page within your profile or a direct link to the product, then tell your followers to click on the link to get more information about your new product. Inside the post or caption, you can ask questions and encourage your followers to give answers to your questions within the comment section. That encourages engagement and provides you with the opportunity to get real conversations started with your followers. Another excellent way of building increased engagement on Instagram is asking users to tag friends of theirs within your post's comment section. For instance, if you share a photo promoting an event that you will be hosting soon. Ask your followers if they will tag friends who they think may have an interest in attending your event. That will increase your posts engagement and your posts might be seen by new users as well. 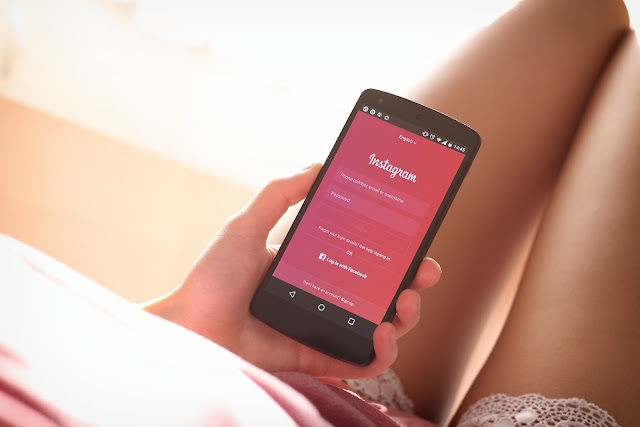 Instagram's new algorithm can influence which posts will show up in your main feed. However, it is still possible to chronologically scroll through posts inside a relevant hashtag. Therefore, to get your posts seen by people within a certain interest group or industry, research hashtags that relate to these interests and make sure they are included in your comments or captions. To get your followers from other social platforms to see your Instagram posts, you can share your posts on Instagram occasionally on other websites such as Twitter and Facebook. You can also share the link to your Instagram profile to help encourage your followers to follow you and view your posts. Whenever people comment on your posts, you should respond back in some way to them. Especially when questions are asked by people in the comments. When you respond to them it shows that you are listening to them and are available on Instagram to interact with them. If you ignore all of the comments that you get, people will be much less likely to continue commenting on your posts. You can also buy Instagram likes to make it look like people are engaging with the post and this can drive more real interaction. Instagram contests are an excellent way of getting individuals to engage with your content. Prizes can be offered and then you can encourage your followers to tag friends of theirs within the comments or to tag you and repost your content. That will help to increase your engagement almost instantly and in the future, your engagement will increase even more. Although it is very important to maintain a regular posting schedule, it is also a good idea to experiment with different posting time to see which ones provide you with the most engagement. Review your photos and look to see if there are any significant differences in how many comments and likes you get from the photos you post at various times. There are also analytics platforms you can use such as Iconosquare that will tell you when most of your Instagram interactions occur. You can then make adjustments to your posting schedule to get the most engagement possible on your posts. Whenever you are sharing posts featuring other Instagram users or ones that may be particularly relevant to some of your users, tag these people in the comments or photo so they will be notified of the post. Just make sure to not overuse the feature and constantly tag everyone. However, in those circumstances where a post is particularly relevant to a couple of your followers when you do that it will ensure they see your post. And those people's followers will have the chance to see those posts that they are tagged in. So your potential reached will be increased even further. Another ways that your posts can be seen by more people, particularly when Instagram is being used to promote a business participating in a special in-person event or local business, is to tag the location. If nearby people what to see posts from a certain location, they can use the tag to browse through the posts. So whenever it is relevant, the feature can be used to reach users who might be interested in interacting with your content about a certain location. Finally, it is very important to keep a close watch over time on your engagement. You may discover that some kinds of posts have a tendency to receive more engagement compared to others. Try posting a couple of different times over the course of the day to discover the schedule that works the best for your business. Just be sure to look at your engagement and keep an open mind about making adjustments to build better engagement on Instagram.